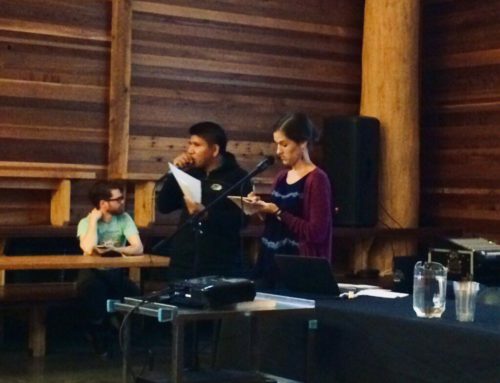 NISGUA’s 2015 speaking tour “Tahoe On Trial: Guatemalan Communities Rise up to Defend Land and Life” set out to raise awareness about Tahoe Resources, a joint US-Canadian silver mining company, and its contribution to human rights violations around its Escobal silver project in southeastern Guatemala. We were joined by the Diocesan Committee in Defense of Nature (CODIDENA), a faith-based grassroots organization that is leading local efforts to educate and organize communities to protect land and water against transnational mining activities. The tour kicked off in Tahoe’s own backyard at their Reno headquarters, where the Progressive Leadership Alliance of Nevada (PLAN) organized a series of events to denounce the company’s abuses abroad. Following a pattern of aggression that is known well by impacted communities in opposition to the mine, Tahoe called the police to evict peaceful protesters looking to bring their concerns right to the source. From Nevada, the tour traveled to the Midwest, making stops to connect with several universities and many local NISGUA activists and grassroots organizations including the Chicago Religious Leadership Network, the Lakes Area Group Organizing in Solidarity with the People of Guatemala (LAGOS) in Minnesota, and the Kickapoo Guatemala Accompaniment Project in southwestern Wisconsin. A visit to the Bad River Band of Lake Superior Chippewa located in northern Wisconsin provided the space for cross-cultural exchanges between two groups impacted by mining. Over the past five years, the Bad River band actively opposed the imposition of a massive iron ore mine by US company GTAC. Tribal members and leaders shared the strategies for resilience and success – including stories of a big win last February when GTAC abandoned mine development. CODIDENA representative Llan Carlos Dávila was moved by the similarities between the Bad River struggle and those that campesino and indigenous communities face in Guatemala and he reflected that he would share the message of hope for the international struggle to protect natural resources with CODIDENA members back home. Guatemalan Anti-Mine Activists Visit Bad River Wisconsin from Paulette Moore on Vimeo. 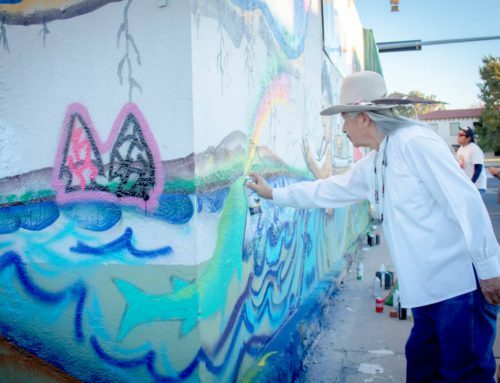 The tour wrapped up with stops on the east coast, collaborating with Skylight Pictures and local activists in New York, connecting with the Guatemalan community in Providence, RI, and reuniting with long-term NISGUA supporters in Needham and Boston, MA. During the tour, we called on supporters to join our Thunderclap on social media to send one, unified message to the U.S. Embassy in Guatemala about Tahoe’s contributions to the remilitarization of communities surrounding the mine. The incredible response we received gave weight to the successful follow-up meeting held at the Embassy, where members of CODIDENA brought their concerns about Tahoe Resources’ militarized security strategy and clearly state their ongoing opposition to the company’s operations and expansion. 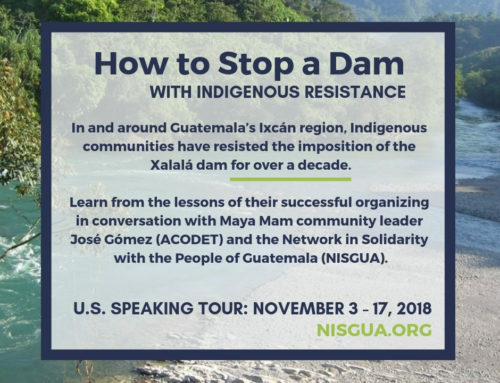 As part of our work in solidarity with communities opposing the mine, we invite you to participate on our “Tahoe on Trial” delegation to Guatemala. From March 5-12, 2016 we will meet with communities impacted by Tahoe’s operations, to learn about creative and resilient strategies they are using to continue to stand up in resistance. Together, we will develop transnational strategies to support their work, recognizing the role we need to play in denouncing the abuses of U.S. and Canadian companies abroad. Visit our website for more details and an application. We will be offering limited scholarships and fundraising support this year!